Then, as a teenager, Sullivan had a Saturday job in the Preston comic shop Thunderbooks. It had a sister shop in Blackpool, where the manager once booked Frank Sidebottom to make a personal appearance. When the phone rang on Saturday morning in the Preston shop, Sullivan answered it. In 2006, having studied at film school, Sullivan was intrigued enough to borrow a Frank Sidebottom CD from a friend and found himself falling head over heels with the character and his world. He sent Sievey a fan letter and was promptly summoned to document a Magical Timperley Tour event. Sure enough, he met Sievey in civvies on an open top bus with a film crew in tow. Sullivan was keen to mic Sievey up inside the Sidebottom head, which only raised more of those strange, lingering questions. “I said to Chris ‘we want to put a microphone on you’ and he just said ‘why?’. I said, ‘because we want to get a good sound’ but he just said ‘why?’. Then he helped me out. 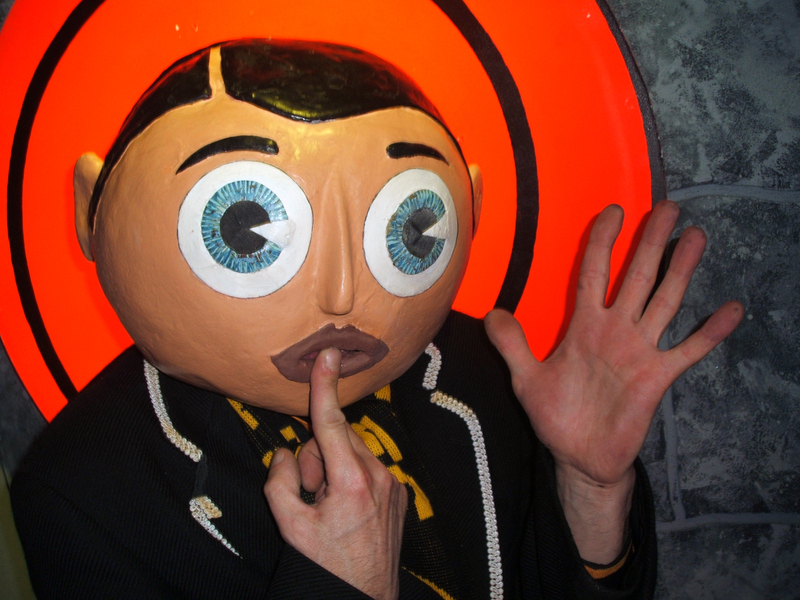 He said, ‘Do you mean Frank Sidebottom?’, and I said ‘ah, yes’ and we all breathed out. He said ‘I’ll tell you what’s going to happen, Frank’s at my house in the living room so I’m going to go and tell him that you want a word with him. Then Frank will come back, and he’ll let you put the microphone on him’. So, we’re waiting on this bus and we’re all totally shell-shocked by the weirdness of this as well as a bit excited. Sullivan’s Magical Timperley Tour film captured some of the strange, loopy magic of Sievey’s character creation but, as it happens, Sievey had been documenting his own career all along. He’d amassed a huge personal archive of artwork, audio recordings, videos, notebooks and diaries kept at his home covering Sidebottom as well as all his other creative endeavours. Tragically, Sievey died in 2010 at the age of 54 after collapsing at home while suffering from lung cancer. 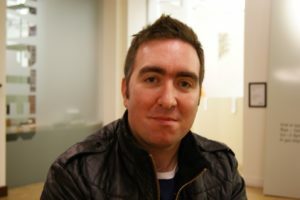 Before long, his archive was on the brink of being thrown away, but by sheer chance Sullivan chose that moment to contact Sievey’s family to suggest making a documentary about him. Next thing he knew, Sullivan was driving away with a transit van full of Sievey’s archive materials having promised the family to make something of them. 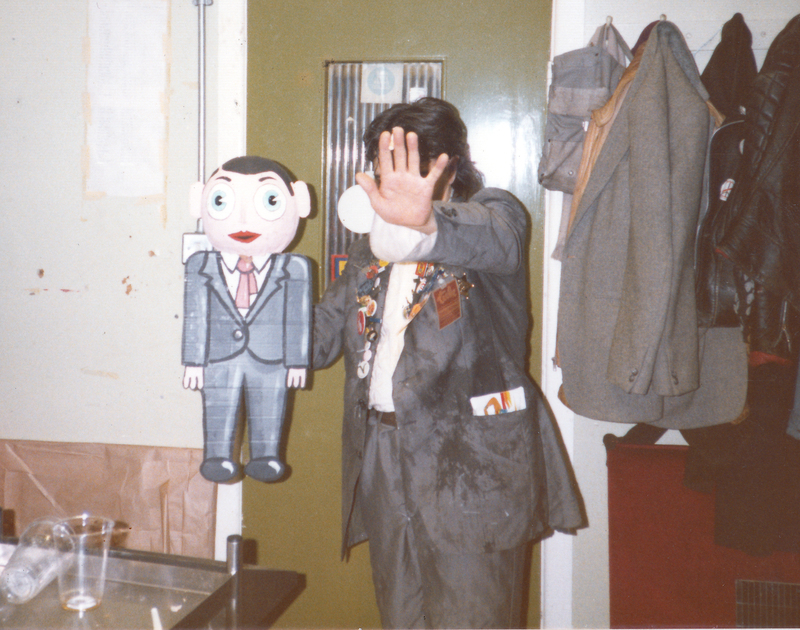 Eight years later and the vast Sievey archive now resides in Manchester Central Library – it’s currently the source of a fine exhibition, Bobbins, running there until April 30 – but not before Sullivan had sifted through it and assembled his feature documentary, Being Frank: The Chris Sievey Story. What he found might be hilarious, revealing, bizarre, tender or heart-breaking, but it all went into the mix. Sievey’s pre-Sidebottom band, The Freshies, never quite hit the big time and, while Frank was riding high, the identity of his real-life alter ego was a closely guarded secret. All told, the public have never really got to know the man himself – until now. 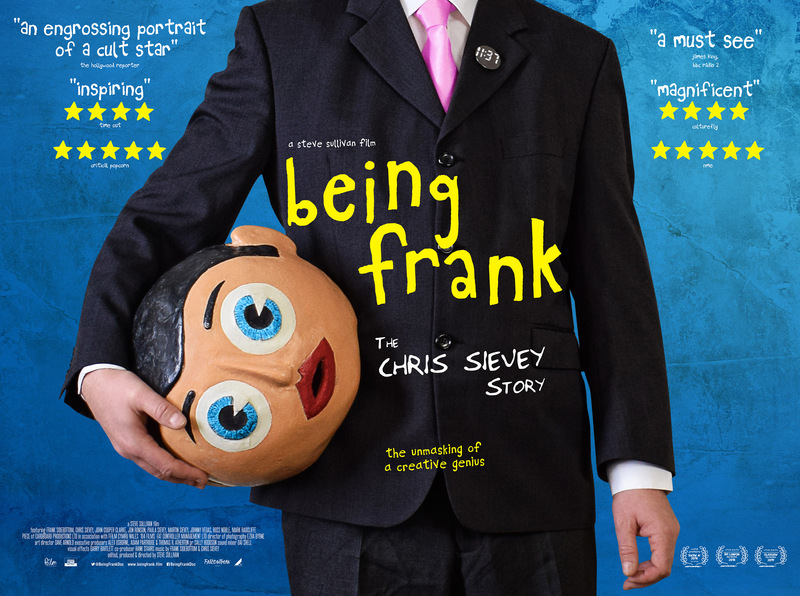 Being Frank: The Chris Sievey Story is screening in selected cinemas and available as a digital download from March 29, 2019.